The Transplant Coordinator is an integral member of a larger multi-disciplinary team contributing to excellence in patient care, research, teaching, and in providing leadership to the organization within UNC's NEW Latino Transplant Clinic. As part of this exciting new venture, the RN Transplant Coordinator will assist with coordination of pediatric and adult organ recipients across all organ groups within the clinic. He/She collaborates with members of a multidisciplinary health care team to enhance patient care by developing, supporting and educating nursing staff. S/he is a clinician, educator, investigator, consultant and leader, and makes clinical judgments based upon a synthesis of current research, concepts, principles, theories, and outcomes to solve complex problems. 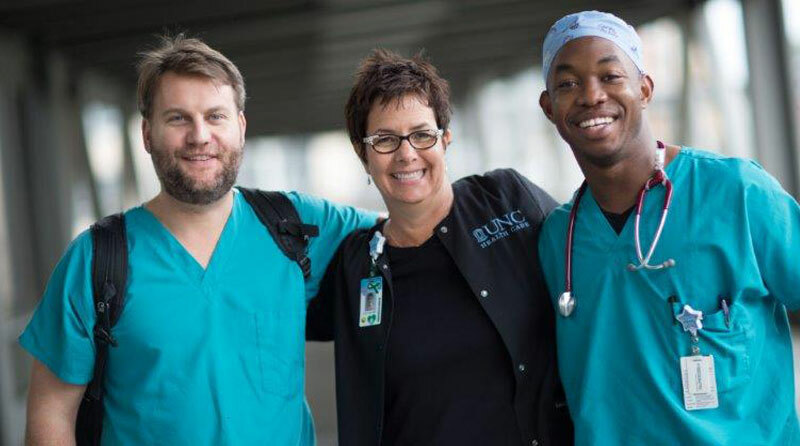 Requires graduation from a state-accredited school of nursing, BSN and four years’ of professional nursing experience to include two years in transplant, critical care, disease specific area. Must be licensed to practice as a registered nurse in the state of North Carolina by the North Carolina Board of Nursing.